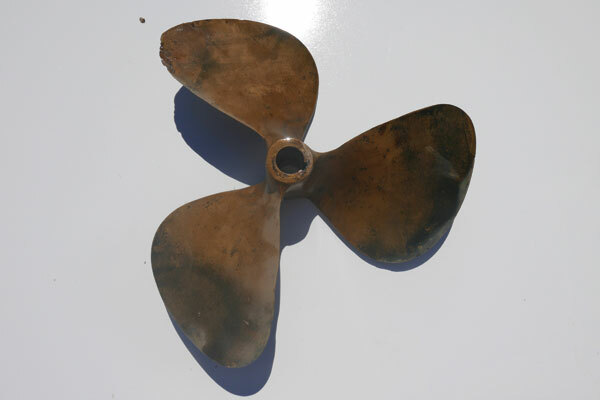 Picking the correct anti-fouling product for your propeller and running gear has become a difficult process. The EPA has developed strict regulations for anti-fouling paints and there are few other alternatives that provide both results and longevity. Today’s anti-fouling products can be divided into two categories. The first category is paint that contains biocides that leach through the paint to create a toxic environment that marine organisms will not grow on. Then there are the smooth surface coatings that create a surface, that when the boat is moving, the barnacles and organisms will not be able to attach themselves. Examples of untreated props at varying stages of marine growth. The reason it is so difficult to achieve a surface that marine organisms will not grow on is a result of the harsh environment under the water line. Dealing with multiple metal surfaces submerged in salt water. Suspended solids in the water like dirt and salt that create friction and a sand blasting effect when the boat is running. Friction from the prop spinning which creates a pressure washer type effect on the prop and running gear. Galvanic corrosion can blow off coatings from the metal surfaces. 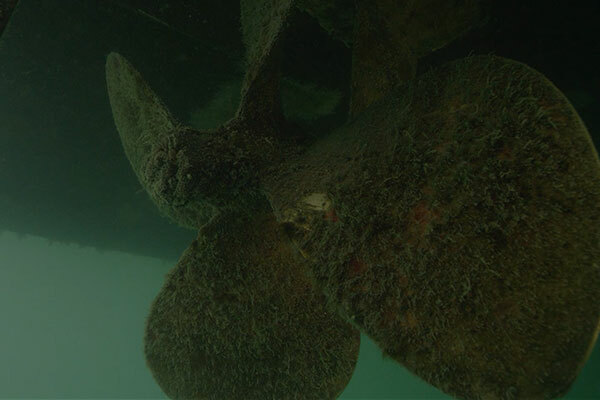 Both conventional types of anti-fouling do not perform or last as a result of this environment. Anti-fouling paints and smooth surface coatings are soft so they are constantly getting worn down by friction or blown off by galvanic corrosion. These products are also subject to adhesion issues. Most require the metal surface to be sanded by heavy grit sand paper, which removes a lot of material and reduces the life of the propeller. At the very least, both of these options also require the propellers to be completely sanded off and removed before a new application is applied which removes even more material. Most of the anti-fouling paints contain biocides which contain more metals increasing galvanic corrosion. Smooth surface anti-fouling’s are made of wax or silicon which are very soft and every time a marine organism grows onto the surface and comes off it is taking some of the coating with it. At Glidecoat we knew there had to be a better way to protect our running gear and propeller. 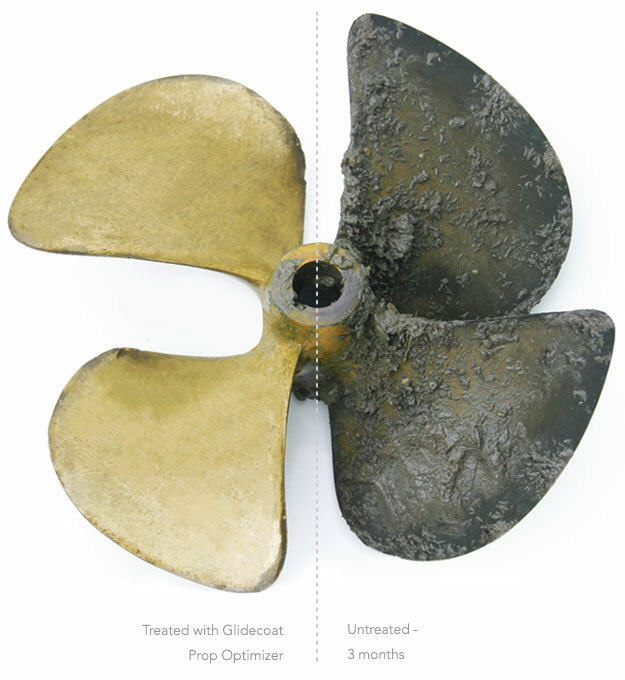 Using our Smart Surface Technology, we created Prop Optimizer – the next generation of anti-fouling coatings for your running gear and propeller. This is how it works. The product uses Nano Polymer technology to fill in all the microscopic pores, scratches, and nicks that creates a smooth surface at the microscopic level removing the ability of marine organisms to adhere to it. Now instead of having marine growth attach and fall off when the boat is moving we are stopping growth while at the dock. 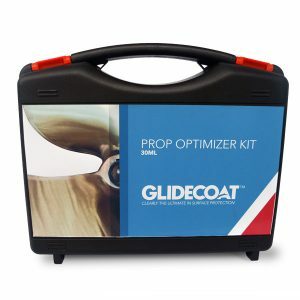 Prop Optimizer, unlike other anti-fouling products is a hard coating. The diamond hard shell creates a barrier protecting the metal from growth and can hold up against abrasion and turbulence that blasts off other soft coatings. Prop Optimizer provides multiple season protection that does not have to be completely removed before a second application. 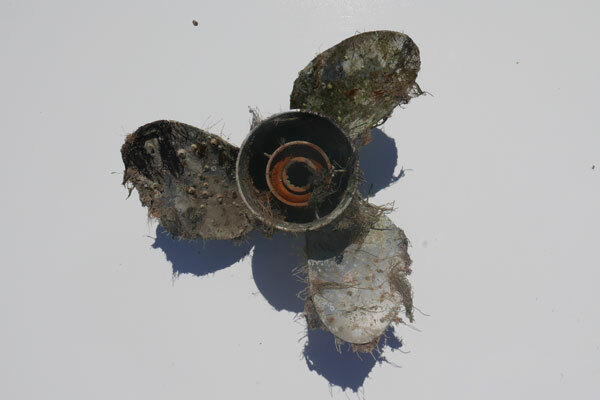 This reduces the wear and tear on your propeller and running gear. The product also improves your props efficiency by filling in the imperfections and eliminating drag. 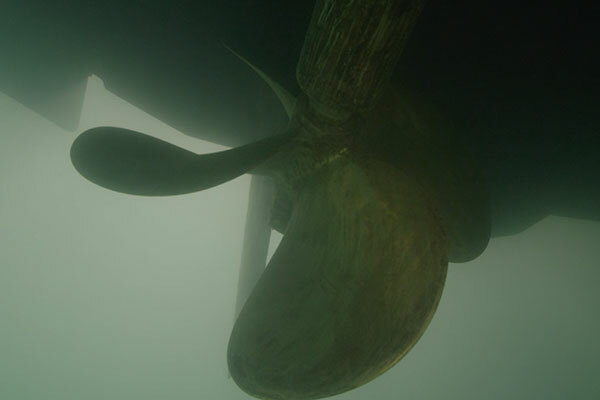 Prop Optimizer is the smart solution for your anti-fouling requirements. The two props where submerged for six months, side-by-side, in the same water. As is clear, the Glidecoat coated prop on the right is as clean as the day it was submerged.